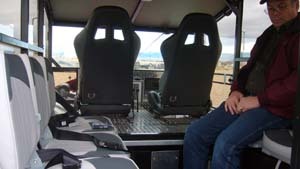 The Land Tamer extended rubber track offers an advanced solution to all-terrain utility transport. 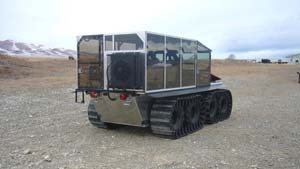 The extended rubber track installs onto existing Land Tamer 6×6 or 8×8 XHD models, it dramatically improves transport over swamp and increases cargo load capacity during amphibious operation. 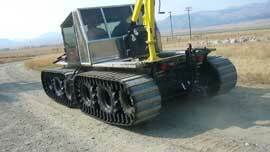 Extended rubber track provides 6 inch lift on the leading edge of the utility vehicle. 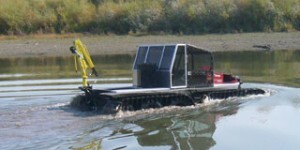 By extending the track further forward and higher, allows amphibious tracked vehicle to lift itself out of troublesome terrain,Tracked utility vehicle with cargo minimizing the chance of the hull coming in contact with the muskeg mat, or deep snow thereby making all-terrain travel much easier. This option can be installed on any Land Tamer XHD models since 2010. 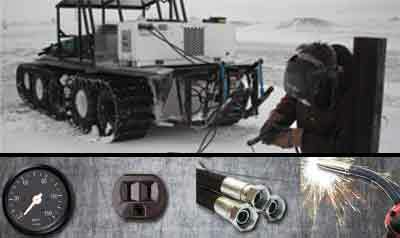 All wheel drive and easy on/off by pulling pin allows operation as a wheeled vehicle or tracked vehicle, saving wear and tear on the tracks when not needed. The HIPPO Multipower System provides multiple types of power enabling you to drive a variety of tools in even the most remote locations. 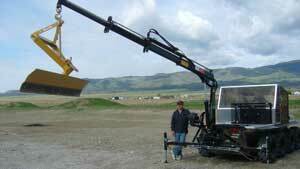 This convenient multipower system is coupled with the Land Tamer’s onboard hydraulic PTO eliminating the need for dedicated fuel and additional maintenance. The HIPPO Multipower System provides a fiscally and environmentally responsible solution improving productivity, increasing job-site safety and minimizing the cost of operations and equipment. The HIPPO allows you to take a variety of power to those “hard to reach” jobsites more quickly and to maintain a smaller equipment footprint while you are there. A floating tractor! 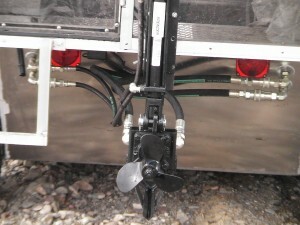 That is what the Land Tamer RAV becomes when it is outfitted with our 3 Point Hitch. 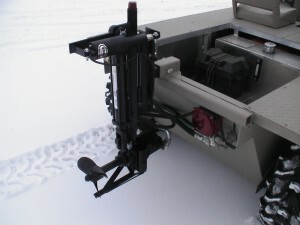 Examples of these attachments are a snow blade or snow blower, a 6’ mower deck, power generators, hydraulic lift attachments, post hole auger, hydraulic winch, backhoe and the list goes on and on. This one feature epitomizes the versatility of the Land Tamer’s 4 vehicles in 1 concept.